although it was a cold this weekend here on the north coast it was the clear, crystal cold that makes you want to spend time outside. 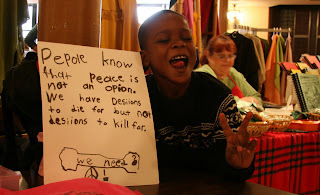 perfect since this weekend was the annual holiday bazaar sponsored by women speak out for peace and justice. for years I've been going to this seasonal happening with jane. I love going with jane as she's always up for a bit of a wander and and we never know what we will end up getting into. jane is an avid organic gardener and is plugged into the local sustainability community. she recently received an email asking folks to help with a coop moving project at gather 'round farm, a unique urban permaculture garden located in the heart of the ohio city neighborhood. jane asked if that sounded like something I'd be interested in; of course, I jumped at the idea, but stated that I wouldn't be good for much more than documenting the activity. I'm slowly (and I mean slowly) trying to recover from tendon tear (without having to result to having surgery). well, I didn't need to worry of feel bad about not being provide any muscle, the turn out was outstanding - a little flickr show of the farm and the coop moving can be seen here. the chicken coop only really needed to be moved about a foot or two so it could rest on cement supports. after the visit to the gather 'round farm we headed to the west side market. 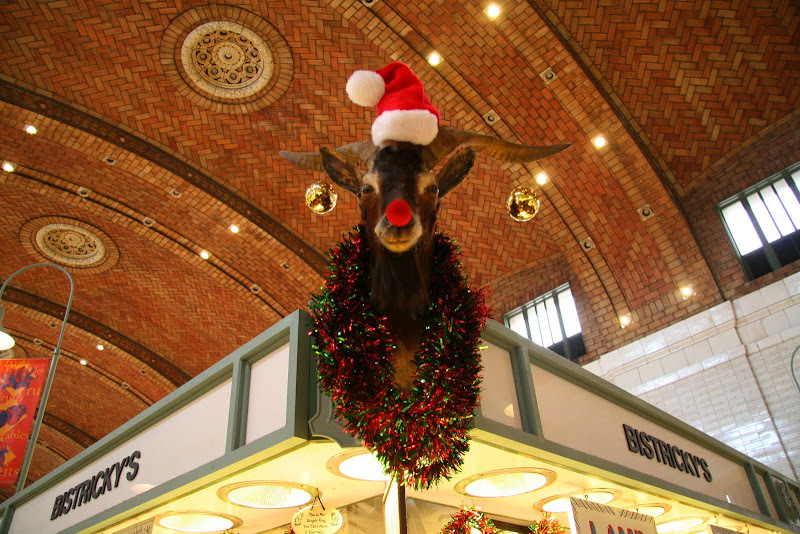 the place was bustling and was all decked out for the holidays. after the market we made a few more rounds meeting quite a few shiny happy people along the way and eventually we found our way home. sunday proved just as full and busy as saturday and I'm thinking the pace will be sustained from now until the end of the year! speaking of full and busy, time to run! and version where r.e.m performs shiny happy people, or rather should I say furry happy monsters with a few of their more adorable friends! Great post, made me happy - and after a day wasted trying to get an intruder alarm working that is quite an achievement. Your post is the absolute antidote to this and I wish there were more places like the one you visited. Hmmm... Ol' Rudolph looks almost menacing there. looming over you like that! I hope he wasn't about to fall off that post. 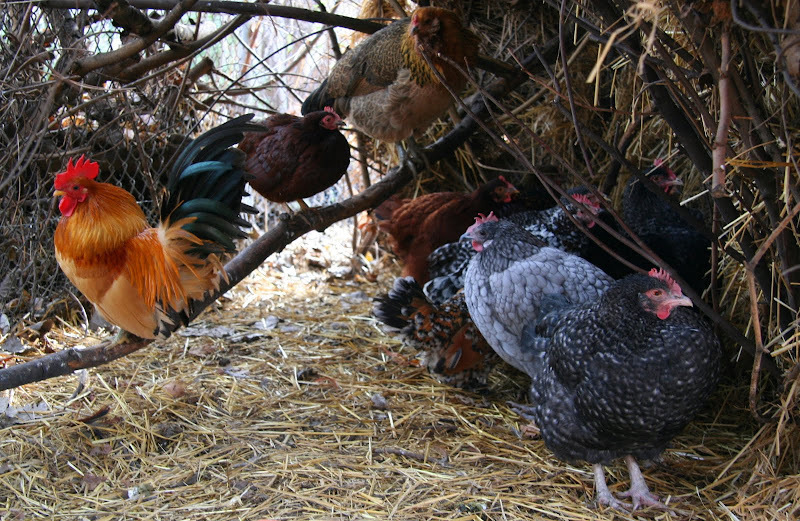 And I love that collection of multicolored chickens. I wouldn't mind having them in my yard, except that our yard isn't big enough. And it's always nice to see Michael hopping around on stage making people happy! That rudolphized head kinda creeps me out! You get up to the BEST things. It's been ages, well two weeks since I actually took my camera out of the bag. Must get movin'. I love these city farms, so important that children learn where their food comes from. Not sure about the poor reindeer/goat/sheep above Bistrickys- although I guess he looks happy enough! alan - between the song, the muppets and the chickens how could one not be happy!! e - that was a great movie, glad you were able to view it. I saw it this summer and the theater where it was showing had a great tie in where local farmers and others involved in food production/distribution came and participated in a panel discussion. if you liked the movie, I'm sure you would love michael pollen's books - you probably have already read them! as - yes that is definitely a real dead head. santa and satan - something nefarious about the two being anagrams!!! roy and megan - guess it's all how you look at the rulophized head - i thought it was kind of cute! baino - i'm teased that my camera is an extra appendage. two weeks - when my camera was in the shop last year I thought I was gonna have a nervous breakdown!